Imagine having photos on your social media and website that are yours. These images are created especially for you! I am sure you are used to seeing the best of the best at your finger tips. In a city like LA, you are used to the best restaurants, photography, home decor, parties, outdoor action, and more. Even online, the LA business accounts represent the epitome of lifestyle no matter what industry. That is just what your advocates want. They want to see a lifestyle on your social media pages and website. Envision your service. Now, envision the experience. NYC is a quick witted character full of life, movement and energy. Live, work, play, that is New York City. In each building represents heritage, an iconic symbol of tradition and progression Share this information with your social media advocates. They want to thrive in New York City and you have the key to their wildest dreams. All of this happens when we partner together. 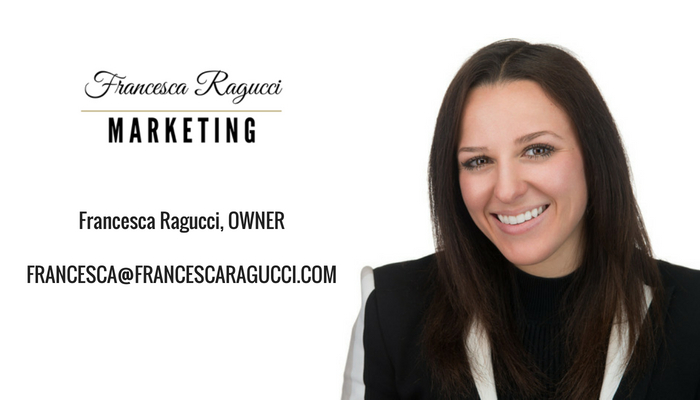 Francesca Ragucci Marketing equips you with an account photographer/ videographer to capture your moments to share online all apart of your Monthly Marketing Plan.